With the arrival of the Halloween again, Halloween songs arise in every place to surround us. Looking for a Halloween themed song list for playback on Halloween party or welcoming trick-or-treaters at the door? You could get more than one options in this post. We’ve collected some top Halloween songs, including: party songs, scary songs, rap songs, and songs for kids. Also, some wonderful methods for downloading Halloween songs are provided as well. 01- AC/DC – "Highway to Hell"
02- Alan Menken – "Prologue (Little Shop of Horrors)"
03- Alice Cooper – "Poison"
04- Bauhaus – "Bela Lugosi’s Dead"
05- Blue Öyster Cult – "(Don’t Fear) The Reaper"
06- Blue Öyster Cult – "Screams"
07- Bobby ‘Boris’ Prickett – "Monster Mash"
08- Chromatics – "Back from the Grave"
09- Cold Cave – "The Great Pan Is Dead"
10- Cut Copy – "So Haunted"
12- Die Antwoord – "I Fink U Freaky"
13- DJ Jazzy Jeff & The Fresh Prince – "A Nightmare On My Street"
14- Donovan – "Hurdy Gurdy Man"
15- Duran Duran – "Hungry Like The Wolf"
16- Dusty Springfield – "Spooky"
17- Echo & The Bunnymen – "The Killing Moon"
18- INXS – "Never Year Us Apart"
19- Ministry – "Every Day Is Halloween"
20- New Order – "Spooky"
21- Nine Inch Nails – "Sin"
22- Oingo Boingo – "Dead Man’s Party"
23- Outkast – "Dracula’s Wedding"
25- Roky Erickson – "I Walked With A Zombie"
26- Roy Orbison – "In Dreams"
27- Shakira – "She Wolf"
28- Siouxsie & The Banshees – "Cities In Dust"
30- Talking Heads – "Psycho Killer"
1. "Monster Mash" – Bobby "Boris" Pickett. 2. "Ghostbusters" – Ray Parker, Jr.
3. "Witch Doctor" – Ross Bagdasarian, and also performed by the Chipmunks. 4. "Thriller" – Michael Jackson. 5. "Time Warp" from The Rocky Horror Picture Show. 6. "The Purple People Eater" – Sheb Wooley. 7. "The Addams Family" theme song written by Vic Mizzy. 8. "I Want Candy" – Aaron Carter. 9. "The Munsters" theme song – Jack Marshall. 10. "Scooby Doo" theme song – Larry Maks. 11. "This Is Halloween" – Danny Elfman. 12. "The Meanest Meanest Pumpkin In The Land" – Alan Kirk. 13. "Haunted House" – Gene Simmons. 14. "The Zombie Mambo" – A Note 4 You. 15. "Casper The Friendly Ghost" – Little Richard. 16. "Candyman – Main Theme" – The Dark Passengers. 17. "Snoopy Halloween Special" [Halloween Party Mix] – L’orchestra Numerique. 18. "Dark Knight Theme" – L’orchestra Numerique. 19. "Plants vs Zombies" – Anime Kei. 20. "Scary Monsters and Nice Sprites" – Nostromo Pilots. 1. Eminem feat. Rihanna – "The Monster"
2. The Geto Boys – "Mind Playing Tricks On Me"
3. DJ Jazzy Jeff & The Fresh Prince – "A Nightmare On My Street"
4. Kanye West feat. Jay Z, Nicki Minaj and Rick Ross – "Monster"
5. Bad Meets Evil – "Scary Movie"
6. Bust Rhymes – "Gimmie Some More"
7. 2 Pac – "Hail Mary"
8. Gravediggaz – "Diary Of A Madman"
10. Whodini – "Freaks Come Out At Night"
11. B.o.B. feat. Nicki Minaj – "Out of My Mind"
12. Big L – "Devils Son"
13. Dana Dane – "Nightmares"
12. "Suicidal Thoughts" – Notorious B.I.G. Leawo Video Downloader, a combination of music video downloader and converter, offers you the best solution to download Halloween songs from video sharing sites like YouTube, Facebook, Veoh, VEVO, etc. It could download music video and then extract songs off these music video easily. 1. 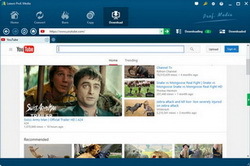 Launch Leawo Total Media Converter Ultimate, open the "Download" tab, add Halloween song video URL into the address bar. 2. Click the "Enter" key to start browse target Halloween song video. Play it back to check if it’s what you need. Select one to download. 3. 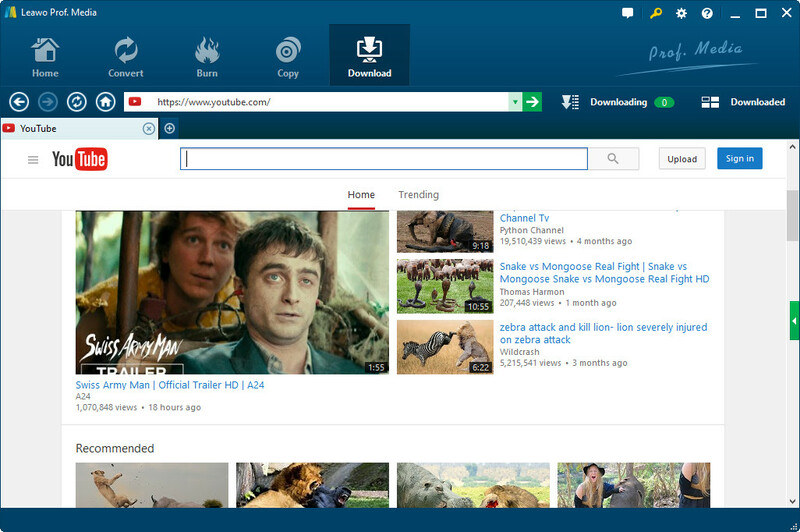 Under the "Downloading" tab, you could see all videos you’re downloading. 4. To extract audio off downloaded video, under the "Downloaded" tab, right clicked target video and then select "Add to Convert" option. 5. Downloaded video is now in "Convert" panel. Click the drop-down box right before "Convert" button, then choose "Change" to set output format. 6. 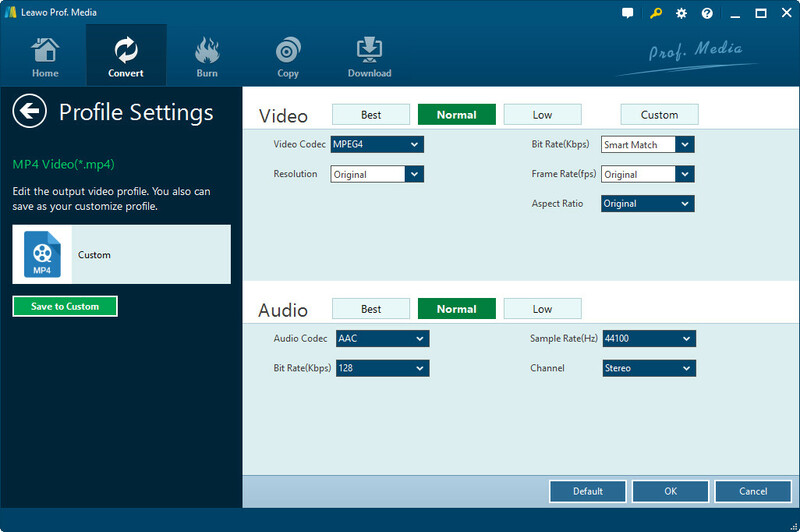 To edit output profile, re-open the drop-down box and choose "Edit" option to enter the Profile Settings panel to set codec, bit rate, sample rate and channel. 7. Back to the main interface and click the big green "Convert" button. On the popup sidebar, set output directory in "Save to" box. 8. 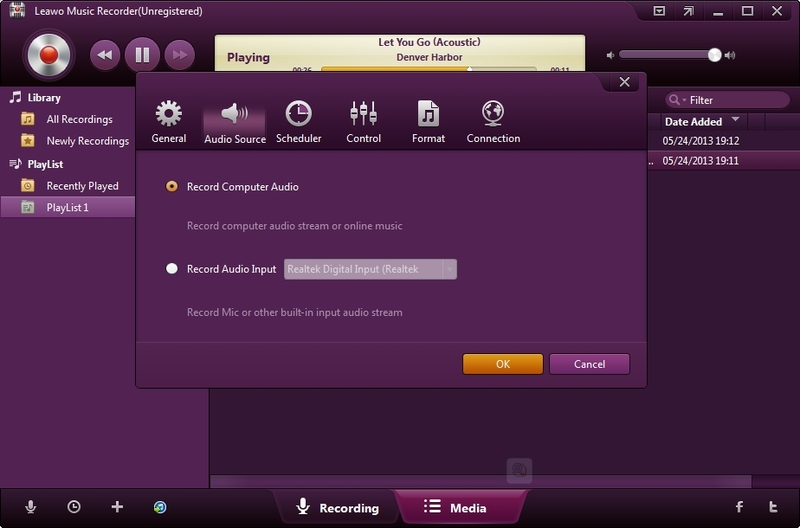 Click the bottom "Convert" button on the popup sidebar to start converting video to audio format. To set the directory for saving the downloaded music video, click the wheel icon on the top-right corner and then open the "Download" tab. Set output directory in "Save videos to" option. 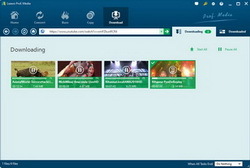 If you are OK with music videos, the whole music downloading task finishes in Step 3. If you want to extract songs off downloaded video to save in audio format, check the Step 4 to Step 8. In Step 5, choose an audio format by clicking "Format > Common Audio". 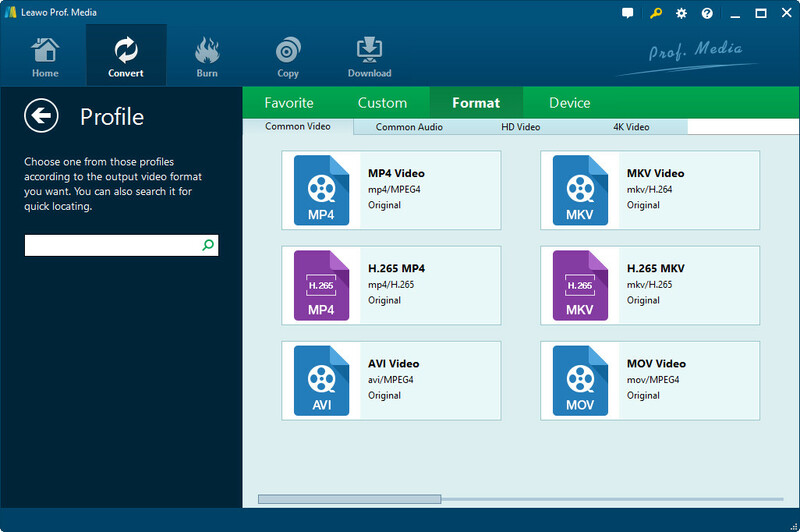 A music video downloader is applicable to downloading Halloween songs from most video sharing sites. However, there are also a lot of music radio stations, where music video downloader doesn’t work. In this case, you should try Music Recorder. 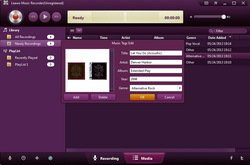 Music Recorder is a better and easier-to-use program for downloading music than Music Downloader. It could not only record music from video sharing sites like YouTube, Facebook, Veoh, and others, but also record music from music radio stations like Last.FM, Pandora, Spotify, MySpace, BBC Radio Audio, iTunes Radio, etc. Moreover, it’s easier to use. 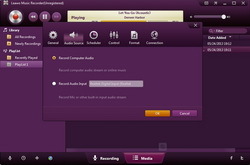 1. click the "Audio Source" icon on the main interface to set audio source firstly. According to your actual situation, you could select from "Record Computer Audio" or "Record Audio Input". 2. Click the red "Start" button to let this Music Recorder work. And then click to play source audio files. It should be noted that you first let this music recording software start recording and then play your source audio. 3. You could edit music tag upon the provided ones. 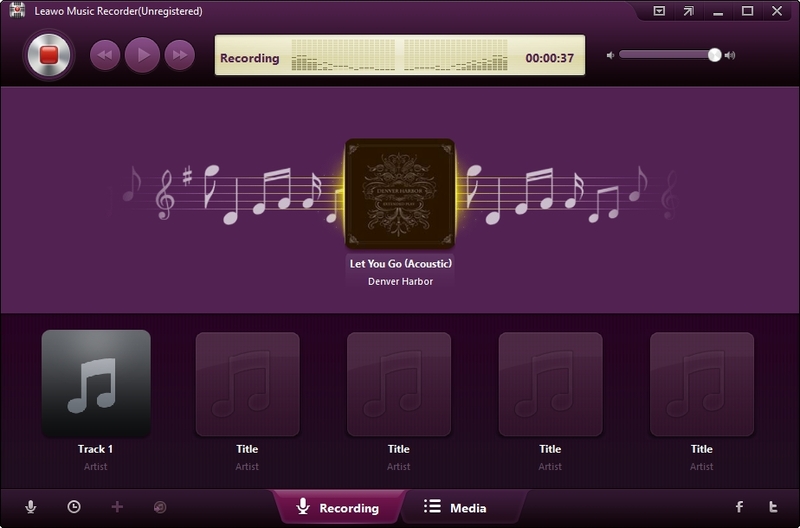 In "Media > Library" tab, you could see all your recordings. 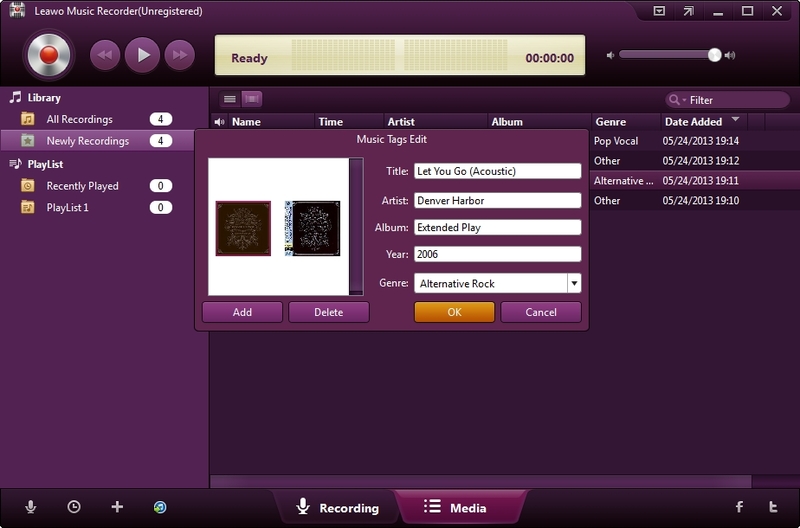 Select a recording and right click, then choose "Edit Music Tags" to manually edit music tags. When you’re setting "Audio Source", open the "General" tab to set output directory and "Format" tab to set output format. The output audio format parameters could be edited. This Music Recorder includes a Task Scheduler, which allows you to preset Start Time and End Time for recording when you’re absent. Make sure you start recording before you play back audio source. This Music Recorder also supports Audio Input, which means it could record songs you sing via microphone.